SaaR is a stellar post rock band from the strangest and most beautiful reaches of instrumental post rock. This is a band who have ambient soundscapes that a listener can quite literally get completely lost in, unable to find a way to navigate the mysterious planes of SaaR's sound. 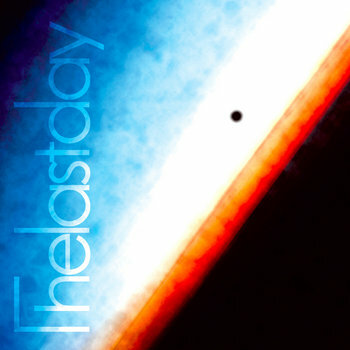 This instrumental outfits new record The Last Day is a stunning testament to the power of the bands genre. The songs have slow progressions that really allow the listener to get into the music and fully digest the magic within. This bands songs tend to be longer, yet they never get boring, instead they keep the listener wholly engaged, constantly second guessing themselves and just trying to find meaning in the lush realities painted by SaaR. When the band explodes into a heavier part, as they do on Part I the auditor is bowled off their feet, yet somehow it works, the touches of black metal tossed into the sound only serve to make everything more human and add another layer of dynamic expression. If you're looking for something mysterious yet also wonderfully listenable then SaaR may very well be the best way to kick off your Saturday.